The University of Chicago's Doc Films will present a Kartemquin Summer Film Series in honor of our 50th Anniversary. The Doc Films Kartemquin Summer Film Series schedule will include the following films, all of which have a connection to the University of Chicago or were filmed in part on Chicago’s south side. Many of the screenings will also feature the filmmakers and special guests. More information can be found at http://docfilms.uchicago.edu/dev/calendar/. Doc Films is the longest continuously running student film society in the nation, looking back on a more than 75 year old history. The group was an integral component in the beginnings of Kartemquin Films, as Founder and Artistic Director Gordon Quinn worked at the organization while still a student at University of Chicago. This partnership announcement continues to deepen the relationship between the two organizations. Gordon Quinn is set to return to his alma mater on June 2nd to give University of Chicago's 2016 Robert H. Kirschner, MD, Human Rights Memorial Lecture at 6:00 PM during the 2016 UChicago Alumni Weekend. Quinn will be interviewed by Jacqueline Stewart, Professor in Cinema and Media Studies and the interim director (2015-16) of the Gray Center for Arts and Inquiry and will discuss how preserving images of the past is critical to contemporary social justice movements. The annual lecture series honors the life and work of Robert H. Kirschner, MD, noted forensic pathologist and a founder of the University of Chicago Pozen Family Center for Human Rights. It will be held in the University of Chicago campus Mandel Hall, 1131 E. 57th St. This event is free and open to the public. Get more details. The Kirschner Memorial Lecture comes just a few weeks before our 50th Anniversary Celebration on June 24th in Chicago, as alumni, filmmakers, subjects and fans join together to blow out the candles on one unmissable birthday party.Get your ticket today. 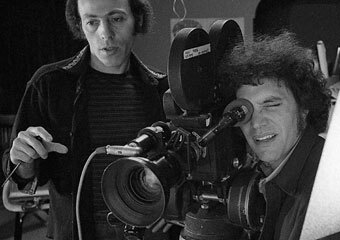 Read more about the formation of Kartemquin in a new cover story in the University of Chicago Magazine, from which the above image of a young Gordon Quinn and Jerry Blumenthal is taken.